Safely and effectively reduce the appearance of visible veins, broken capillaries & general redness with laser. 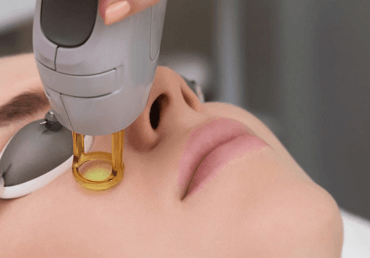 Using Candela Gentle YAG lasers, our skilled laser technicians perform this safe treatment to diminish imperfections, eradicate broken capillaries and thread veins, and reduce redness for a fresher, more evenly toned complexion. Our laser treatments for veins are non-invasive, fast and seriously effective. 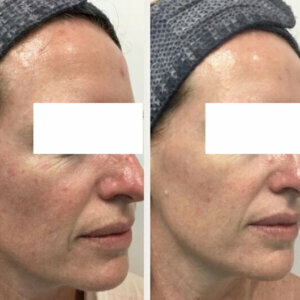 A course of three treatments 4 weeks apart is often recommended, though some clients do see instant results. Please discuss your ideal treatment plan for Facial Veins with your clinician. 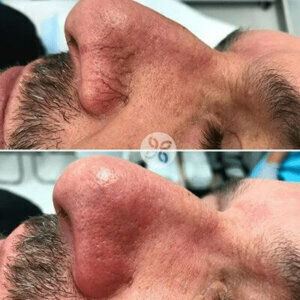 The below before and after photographs are of real patients from our clinics, and have not been altered in any way. Individual results may vary. 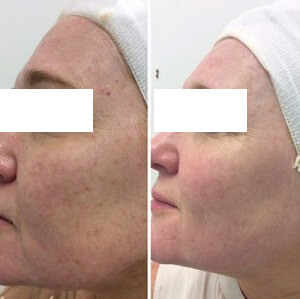 Performed by advanced technicians, laser is ideal to quickly and safely, reduce facial veins and blood vessels. These facial veins are often caused by heredity, hormones and everyday routines.